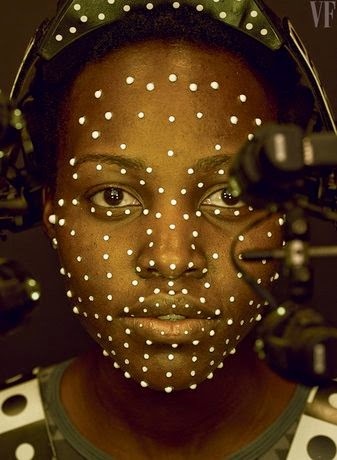 Ever since Lupita Nyong'o was cast in Star Wars: The Force Awakens there has been speculation who she was playing. "I could not be more excited about Lupita and Gwendoline joining the cast of Episode VII," Lucasfilm President Kathleen Kennedy said in a press release. "It's thrilling to see this extraordinarily talented ensemble taking shape." Lutpita tweeted "I can finally say it out loud and proud: I'm going to a galaxy far far away!" Other than that, no details were given. She did say in an interview that her favorite Star Wars characters are R2-D2 and C-3PO because "they just resonated" with her. "Being able to convey emotions with just a few digital sounds - it speaks of good storytelling," Nyong'o told Vanity Fair last year. "It's a wonderful opportunity to be working in these fantastical realms. They're worlds away from 12 Years a Slave, that's for sure, but that kind of diversity is what dreams are made of." While filming they used the code word "Rose" for her character and that gave a few clues. 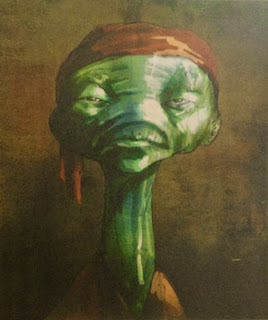 Recently, Vanity Fair said her character's name is Maz Katana. From here on out these are minor spoilers for the film. Indie Revolver released concept art they claim is from the film. Whether she actually looks like that is a mystery, but it does have a pirate headband. The Vanity Fair article gave a caption that confirmed Lupita Nyong'o is a pirate. She has a castle with "galactic travelers, smugglers, and other assorted riffraff" filling the main hall. Pirates have always been important to Star Wars and early drafts for A New Hope had a number of pirates. Maz Katana's allegiance is a mystery though and we don't know whether she's on the side of the Resistance (the film’s new term for the Rebel Alliance) or The New Order (the film's new name for the Empire). Many have speculated that Nyong'o is playing a CGI character and it makes sense since the last Star Wars movie was full of CGI characters. Vanity Fair said they used "a small galaxy’s worth of tracking dots affixed to Lupita Nyong’o’s face allowed artists at Industrial Light & Magic to transform her into the C.G.I. character Maz Kanata." But, Abrams has a desire to use as little CGI as possible. Disney CEO Bob Iger said that "Abrams has relied more on physical sets and props that are significant in size and scope, rather than computer-generated imagery." The BB-8 droid is a perfect example of that since everyone assumed it was CGI but is actually acomplex robot. There have been rumors that many of the aliens in Star Wars VII are actually animatronic robots instead of computer generated characters. This makes sense since many set photos show puppets or robots on set with the actors. Andy Serkis confirmed this saying "The [Disney's animatronics division] Imaginarium is now involved in all of the performance capture on the Star Wars projects and I’m playing a character in that. It’s extraordinary." Star Wars Underworld found a description the technology Disney was working on years ago that describe a "controller on a full-body, force-controlled humanoid robot. Experimental results demonstrate that the controller can successfully make the robot track captured human motion sequences." Some sets for "Pirates Cove" include Sun Terrace, Rose's Room, Walk-in freezer, Map Room, Passageway, "Dusty” Back Room, Pier (overlooks the ocean) and The Cliff Face. "Rose's Room" required the stage be raised "for puppetry requirements." Descriptions on set have described an animatronic robot that is missing a face. Her character is an animatronic robot with a CGI face that matches her movements. 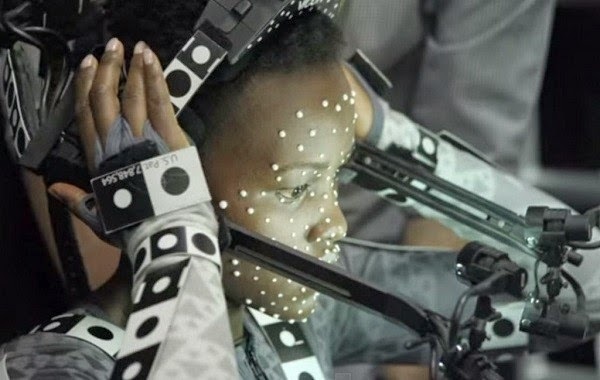 What do you think of Lupita Nyong'o's Star Wars character? Do you feel she'll make a good pirate? Hopefully Abrams sticks to his guns and there aren't a lot of CGI characters. Would like to see her actually in the film. Arrrr matey she be makin a good pirate. The newl Star Wars saga continues, she does look quite speck-tastic! I hope they use her more than CGI, but truly looking forward to this one! Yeah that was the biggest problem with the last films. It just didn't feel real. Or as real as a space opera with giant dogs can be.